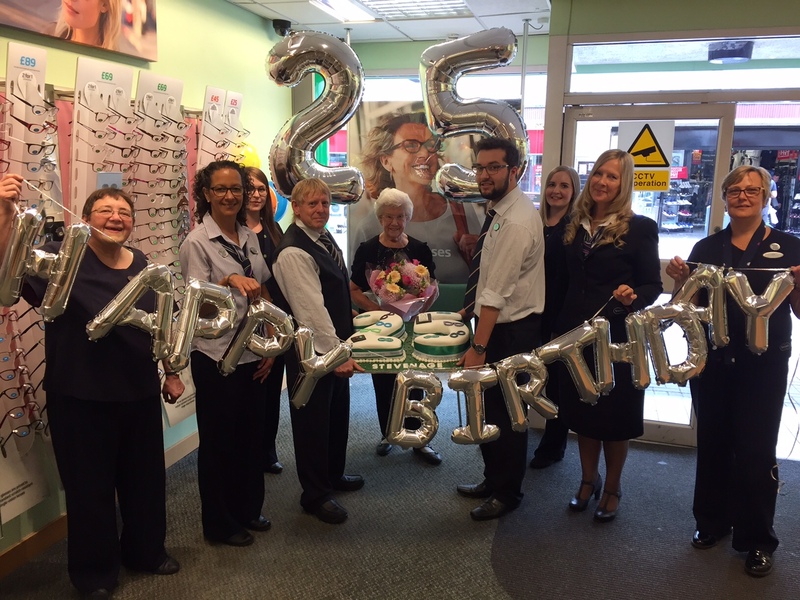 Specsavers in Steveange celebrated 25 years of caring for the sight of people in the town with a spectacular birthday celebration in store. The store first opened on Tuesday 30 June 1992. Gail Maynard, store director of Stevenage, said: 'When we first opened we had just seven staff members, two of which are still here today, myself and admin manager Sue Lovatt. The store prides itself on its family atmosphere as Sue's son Adam started working at the store in 1995 and is now a fellow store director. Sue's daughter Gemma also joined Specsavers Stevenage in 2000 and is now one of the store's managers. Gail continued: 'We must be doing something right as we tend to find that most of our staff stay with us for a number of years. Our lab manager Jim Dear has been at Stevenage for 22 years, while lab assistant Yvonne Alderman and optical assistant Lynn Fieldwick have both been with us for 17 years.